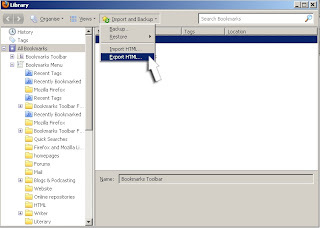 It's a good idea to export your bookmarks (Favorites) from time to time so that you can import them later in case you change your browser or reinstall Windows. 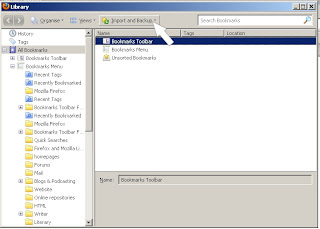 Exporting your bookmarks is actually quite easy and this tutorial will have you exporting and saving your bookmarks for later retrieval in less than five minutes. This is important because it saves your bookmarks in a format that can be used by another browser in case you decide to switch browsers. Navigate to a drive other than C: if you have one and click Save. 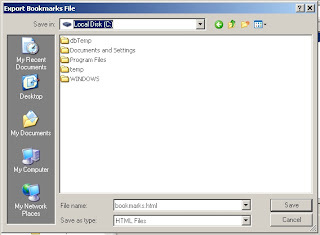 You can change the name of the file if you wish but leave the file type as HTML. 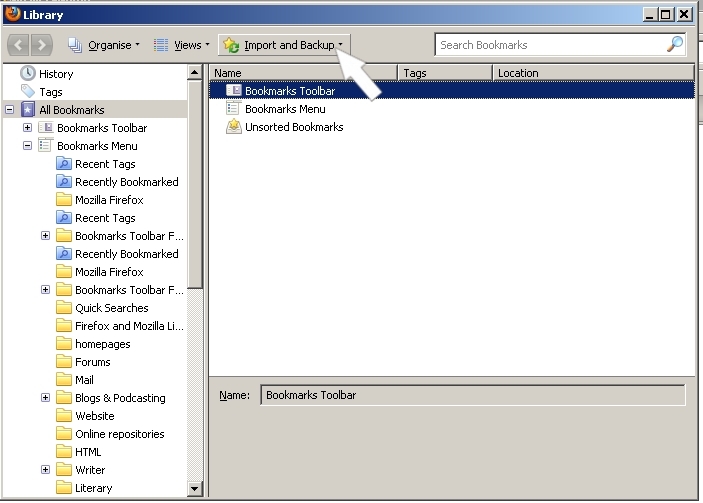 Your bookmarks have been saved as an HTML file that can be imported into Firefox in case you reinstall Windows or if you switch to a different browser. 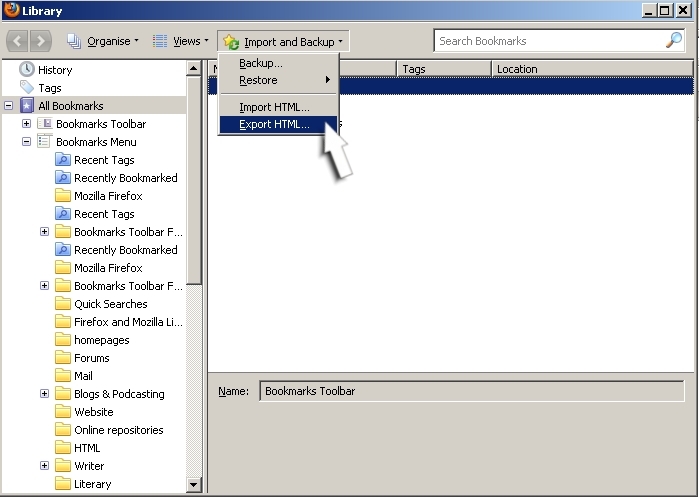 The next tutorial will tackle importing an HTML bookmarks file into Firefox. This is so easy, I can't believe it's true. If you have any trouble converting with the method I suggest below, PLEASE comment and let me know that it doesn't work. In that folder, you will find from one to several files that are named AVSEQ01 to 0 whatever, with the extension ".dat"
Repeat for every .dat file you copied from the MPEGAV folder. The files work perfectly in Windows Media Player and most film editors. Switch it on again, holding the C depressed for about ten seconds. Your keyboard will revert to factory settings. Works for most Yamaha keyboards. Don't do this if you've saved songs, settings, etc. This technique is purely to return your Yamaha keyboard to the state it was in when you bought it. 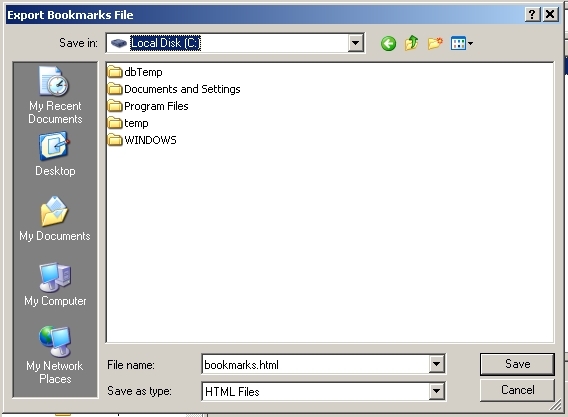 Like many other Web sites, www.deeplysimple.net makes use of log files. The information inside the log files includes internet protocol ( IP ) addresses, type of browser, Internet Service Provider ( ISP ), date/time stamp, referring/exit pages, and number of clicks to analyze trends, administer the site, track user’s movement around the site, and gather demographic information. IP addresses, and other such information are not linked to any information that is personally identifiable.
.:: Google's use of the DART cookie enables it to serve ads to your users based on their visit to www.deeplysimple.net and other sites on the Internet. www.deeplysimple.net has no access to or control over these cookies that are used by third-party advertisers.